1 box of 5 Balloon (Punch Bowl Sharer). 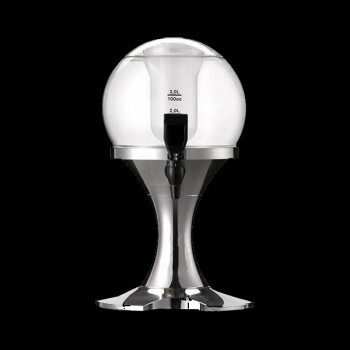 Perfect for Cocktail Bars, Restaurants and for home use. 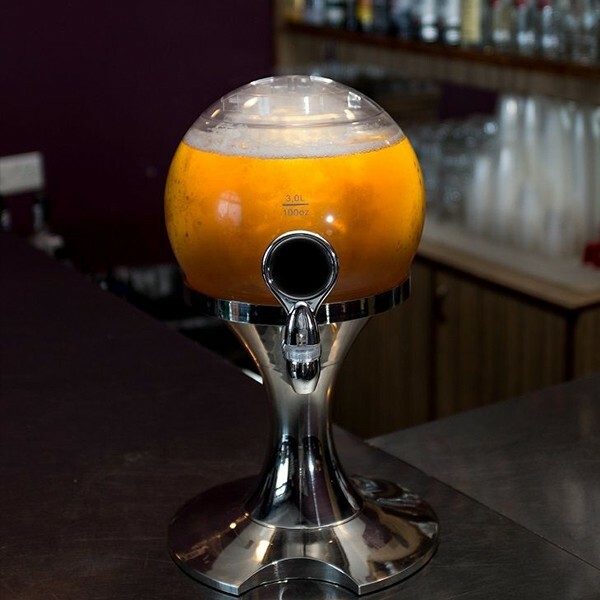 With each dispenser holding up to 3 litres of liquid, this product is ideal for people looking to kick start their night in style. 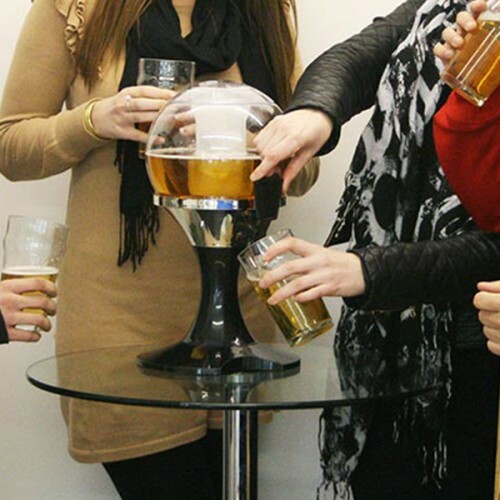 This version of the Table Top Drink Dispenser is perfect for venues such as Cocktail Bars or Restaurants, looking to provide party-goers the best possible party sharing experience. The Punch Bowl Balloon is very well associated outside summer events. Imagine using this Punch Bowl Sharer to keep your Pimm’s ice cold on a warm summer’s day, at the races or at a BBQ joined by friends and family. The Punch Bowl Sharer is available with a silver chrome base finish, comes with a 3 litre capacity liquid chamber and has a compartment to fit your Ice Rod in to keep your beer at sub-zero temperatures for a minimum of 6-8 hours. 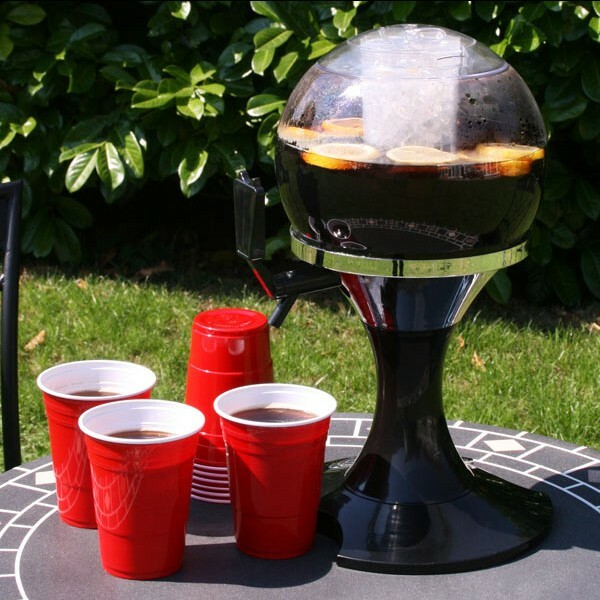 The Punch Bowl Sharer is commonly known as Table Top Drink Dispensers, Cocktail Towers, Cocktail Sharers, Table Top Dispensers or a Triton Dispenser or The Beer Giraffe. 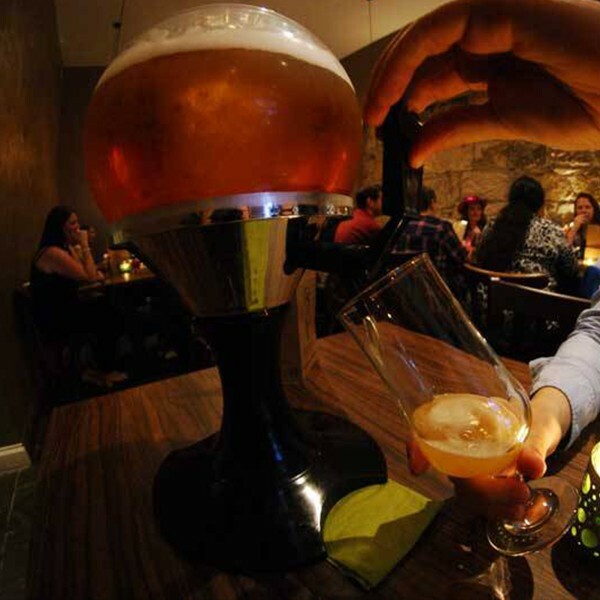 NOTE: TO OFFER THAT CHILLED DRINKING SENSATION, TAKE A LOOK AT ‘THE ICE ROD’. THESE ARE NOT INCLUDED AND MUST BE PURCHASED SEPARATELY. 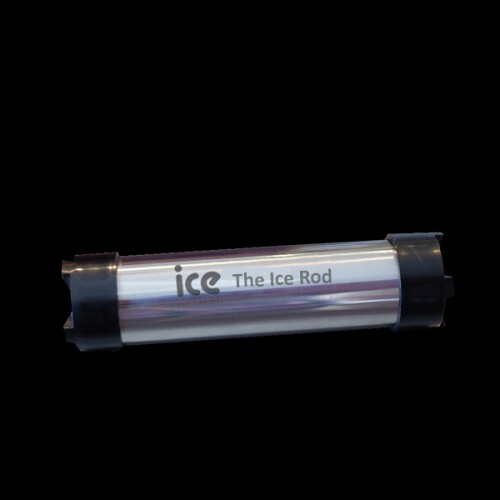 1 Individual Ice Rod. Perfect for personal use, at home or out and about to keep your items cool and refreshed.